In the provincial town, located on the shores of the Adriatic sea, often changed rulers, and each of them tried to decorate Ravenna new palaces and temples, with the result that Italian pearl becomes the chief centre of the architectural art of the country. Located between East and West, it is a treasure trove of unique historical monuments, eight of which are under UNESCO protection. However, the main attraction blessed Ravenna is considered a valuable mosaic that you see literally everywhere. The quality of her performance amazes and fascinates everyone who touches the cultural heritage of the city with a rich past. In the Byzantine Empire, the mosaic production was put on stream, and all the temples and Royal palaces were decorated with paintings of colored glass. Of course, this is not quite correct title, because this art is not painting. The creators of the greatest works he wrote them not colors, and recruited from pieces of smalt. Flourishing of mosaic art falls in V-VI century, called the Golden age. 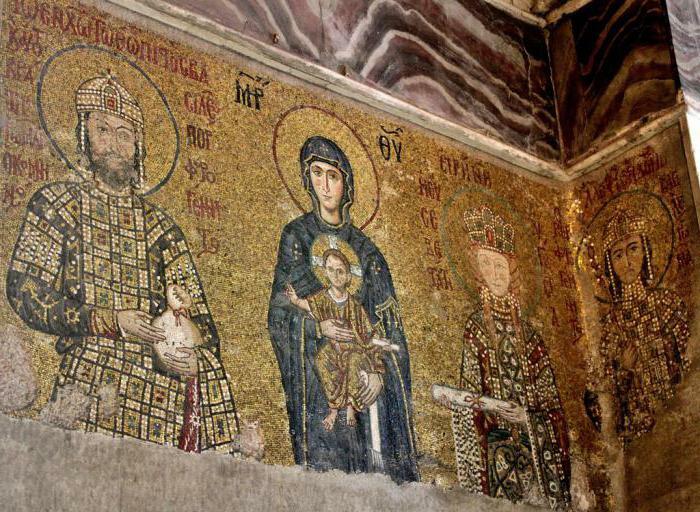 The most famous world's masterpieces found the mosaics of Ravenna and Hagia Sophia (Constantinople). Historical Church in Istanbul and to this day has retained all the power and Majesty with which he was endowed by their creators-the creators of the Ancient Byzantium. Beautiful compositions having great value for world culture, preserved in good condition. early Christian religious buildings Dating from the V-VII centuries, when Ravenna was the capital of the Western Roman Empire, no surprise architectural design and beauty. Guests of the ancient city admit that outwardly, he makes no impression: bland street, little square, no fantastic atmosphere and a special touch. However, behind the grey facades of temples and thick brick walls hiding the mosaic heritage of the city. Original works of art hidden from prying eyes and to find them, you will have to acquire a map of the village, located on the North-East of Italy. Mosaic Ravenna is so famous worldwide, that other cultural objects remain unnoticed by tourists. A priceless treasure that has no equal in any city in the world, hidden behind the faceless facades of historic buildings. Before I talk about the main pride of Ravenna, you need to pay attention to the features of these paintings. Mosaic – it is a favorite decoration of Christian churches which is most fully embodied the aesthetic ideals of the religious world. This painting was developed by the Byzantines, who created a special technology for the production of glazes. In easy-to-use glass they added a variety of metals (gold, mercury, copper and others) and got shades of different colors. The main element of the mosaic was uniform in size and neatly laid out blocks. Byzantine mosaics in Ravenna was the main component in the decoration of tombs, temples, basilicas, where the fore of the visual task. The main theme of monumental paintings of Christian history and biblical subjects. The technique of laying tesserae every year improved, and the authors of wonderful compositions he developed new compositions and colors. What is different Byzantine mosaic from the Roman? The main feature is the use of Golden background, on which were laid in blocks with a rough surface, characterized by their position relative to other elements. In addition, the master used the smooth contours of the borders of the depiction of bodies or objects, which gave a composition on shiny background clarity. 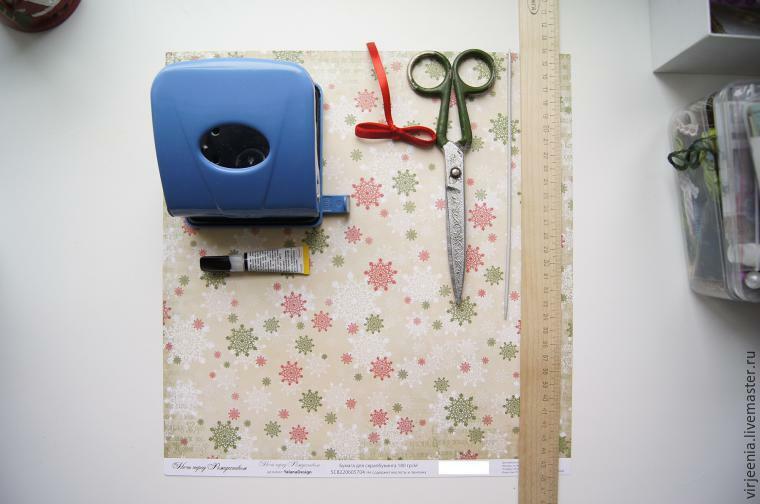 It created a single fabric, beautifully shimmering in the glow of candles and natural light. A delightful play of color and reflections created the effect of motion picture and are living their lives. Artists of Ravenna school mosaic art worked in the period from V to VII century, worked with a palette of glazes consisting of basic colors and featuring a variety of shades. Most often, the cubes had a rectangular, a square shape, although on some pictures you can see the oval and round elements of large size-from 7 to 15 mm. the Mosaics of Ravenna became the Western capital of the Roman Empire, in no way inferior to the amazing works of Constantinople. The city bore the title of storehouse of art and culture, preserves a rich heritage, which became the source of inspiration for famous writers and artists. The contemporary city has not forgotten the ancient art in one of the academies is the separation of the mosaic, which is visited by both Italian and foreign students. It hosts symposiums and workshops that gather experts from around the world. Popular Ravenna talents to carry out restoration work, generate their own copies of the most famous works that can be purchased in art galleries in the city. Authorities of the capital of mosaic are aware that the main task – not only to preserve national treasures, but also to make them public. 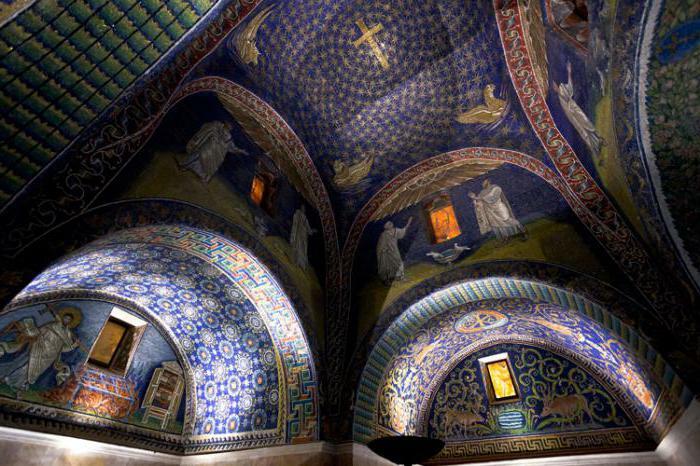 the oldest architectural monument is the the mausoleum of Galla Placidia in Ravenna. 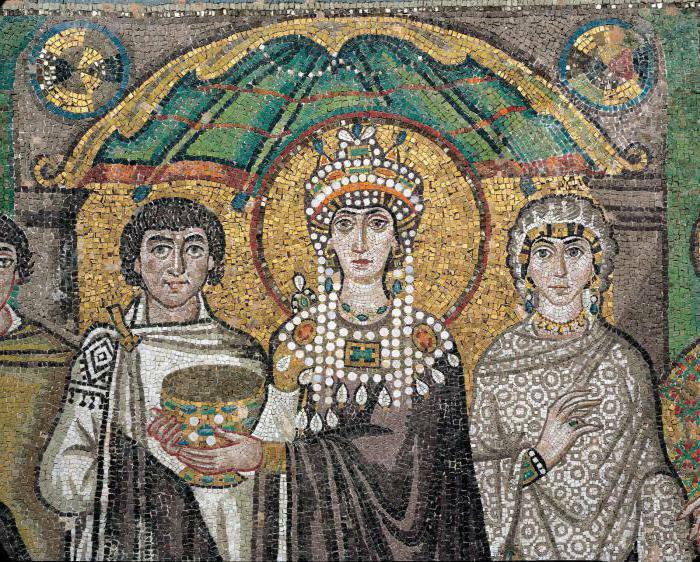 Mosaics, made in the V century, were created by Byzantine craftsmen, who were brought from Constantinople the daughter of Emperor Theodosius the Great. In fact, as the researchers found, it's not a real tomb, because Galla buried in Rome, but this building looks fairly unattractive, was a small chapel dedicated to Saint Lawrence-the patron Saint of the family dynasty. In grown for centuries in the ground a brick building hides a real treasure, the kind of which is breathtaking for every visitor. Through the narrow Windows, laid with plates of Jasper, penetrating rays of the sun, and in the dim light shimmer cubes mosaics of Ravenna, like precious stones. This miracle is the explanation-so play the smal conveying different shades of color. Ghostly light falling on a rough surface, reflected at different angles, and the vaults and walls of the mausoleum fell into the eyes of admiring visitors. the Mosaics of Ravenna, the delight, even in people who are far from art, is immediately apparent. 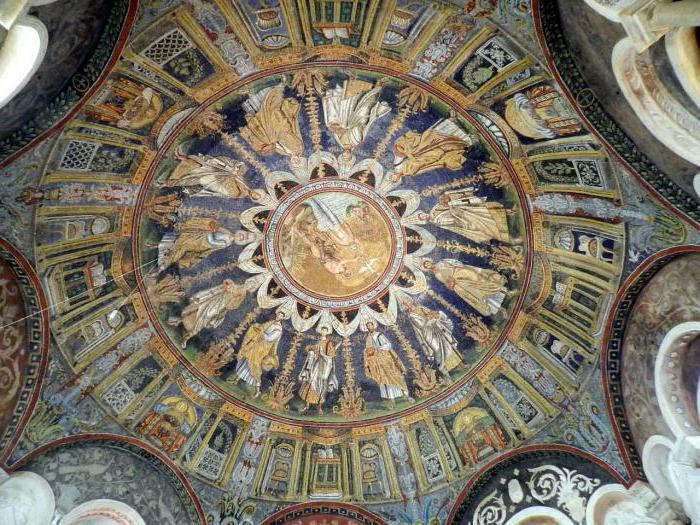 The dome is protected by UNESCO mausoleum is a starry sky in its centre shines a Golden cross, directed to the East, and four sets of the Byzantines was decorated with symbols of the evangelists-the ox, lion, eagle and angel. Here you can see the expiring world of antiquity, and masters displayed in the paintings of completely different beauty-divine. a Young Jesus Christ is here depicted as the Good Shepherd surrounded by a flock of sheep. It is common for early Christian image of our Savior, only a purple-and-gold garments say about who he really is. Figures of saints appear on a blue background, Recalling the ancient characters in Roman togas, grapes – about the pagan bacchanalia. 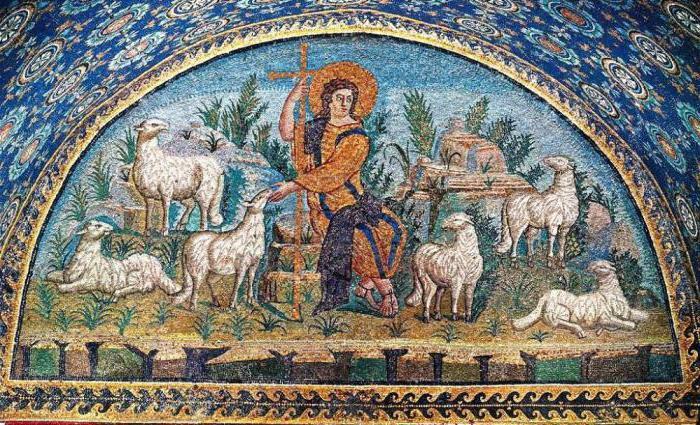 However, the artists performing mosaic, endowed with symbolic meaning, every way: listening to Christ's sheep – the flock drinking from a clear water like pigeons and deer – Christians, absorb new doctrine, and bunches of grapes-the garden of Eden, which brought the believers. Near the mausoleum is the famous Church of San Vitale in Ravenna. The mosaics of the Basilica, executed by Byzantine masters, are the main wealth of the ascetic-looking architectural landmark, where the relics of blessed patron Saint of the city – the Holy Vitali. Christians who thought about the beauty of the spiritual, not external, not adorned their temples, reserving the luxury for interior decoration. 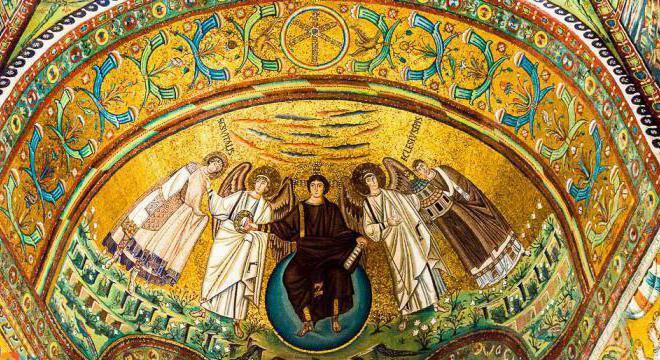 Made in the VI century Byzantine mosaic of San Vitale in Ravenna, which was considered the most beautiful outside of Constantinople, adorns the chancel, the apse and the elevation at the altar. Scenes from the old Testament, images of Jesus with the saints, Emperor Justinian with his wife very different from the paintings in the mausoleum. Main background in the paintings acts gold color and the figures look like they've lost material. 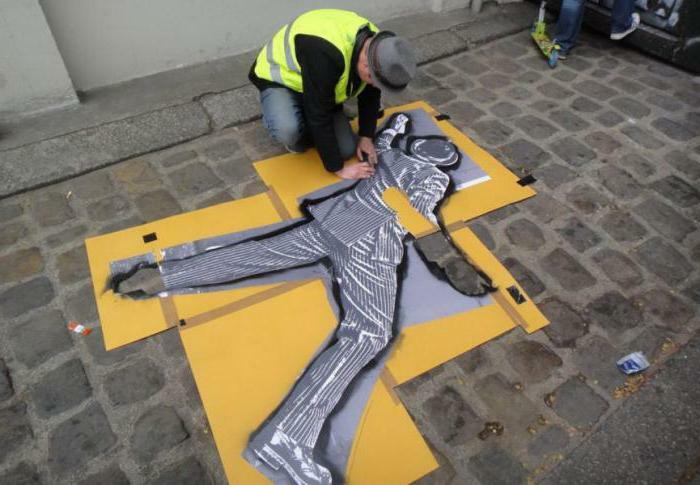 They turned into flat silhouettes and seem ethereal. Despite the heavy draping garments under their folds do not feel physical bodies. Mesmerizing stare big eyes to discharged persons. 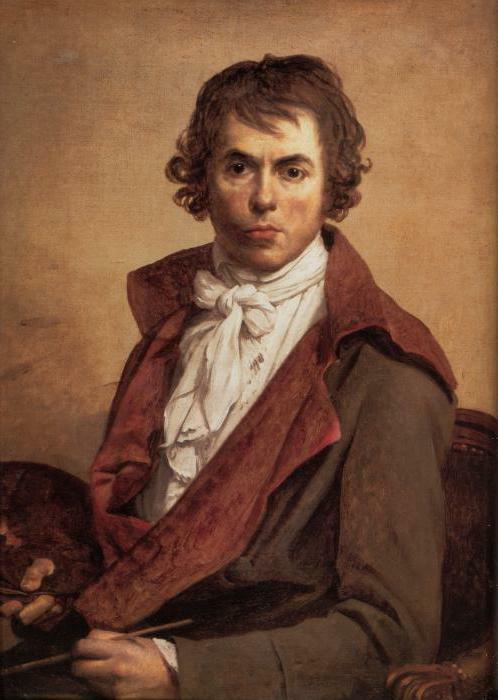 In the paintings of the great masters represented not immediate, and turned to the eternal, not the material showing the shell, and the divine essence, and to replace the movement come stark images and a clear outline is the volume. There are no smooth transitions of shades and mosaic of San Vitale in Ravenna is a large color spots. Byzantine nameless authors never saw the wife of the Emperor and tried to convey a portrait likeness is not, and spiritual essence, embodying their ideas of beauty. Her husband, the great monarch, depicts the moment when the Church passes the Golden pot as a gift. Head of Justinian, who did not take any important decisions without his wife, adorned with a halo. It is impossible to see a hint of personal qualities: all carnal and immediate left outside of the temple, and the Emperor with the second half is depicted as the ideal ruler. Main colors of the panels that emphasizes the festive atmosphere of the Basilica, – white, blue, gold and green. Smalt pieces stacked at different angles, and the emitted light creates an impression of the wonderful atmosphere that permeated the warm sunshine. It is unknown what affects the most: the thoughtful composition and the finely worked details and ideal selection of colors. In the V century there was an architectural object, recognized as one of the most significant monuments in the world, – the city baptistery. 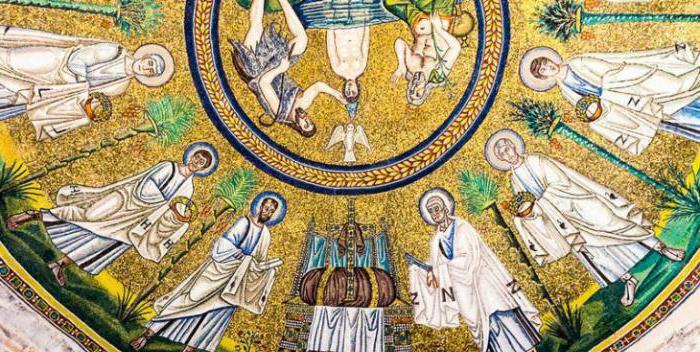 Mosaic of Ravenna, supplemented with inlaid marble and stucco, as if inscribed in the dome structure, designed for baptism and the same age as the mausoleum of Galla Placidia. Wizard used a unique technique: all the figures and dividing their elements – a kind of radius, and from the Central disk streaming Golden rays. On the dome panels you can see the scene of Christ's baptism by John the Baptist, the dove, symbolizing the Holy spirit, the 12 apostles, bearing the crowns of martyrdom. The figure of the messengers of God depicted on a dark blue background, are shown in motion, and the surface on which they tread, looks more bright. In the living disciples of Jesus is dominated by two colors-gold and white symbolizing spirituality. The faces of the apostles, possessing a strong personality, solemn. the Disciples of Christ are shown as light bearers Christian education. The Savior accepted baptism, and the grace transmitted through the apostles the Church on earth, which symbolize the depicted altars. And fruit trees on the dome of the baptistery associated with the Christian soul, bearing good fruit. Such rich decoration of religious structures were stressed to the believers the special significance of the rite of baptism, and the whole General composition related to the theme of the New Jerusalem-the city Jesus sent the winner to the Ground. one Can only admire a special gift nameless talents who are proud of the modern Ravenna. Mosaics and frescoes of the baptistery, built of small stones with a rich color palette with a jeweler's precision was carried out by local and Byzantine masters. They have created delightful songs, dazzling bright colors. the Ancient Ravenna transformed from a great city in a provincial town, is incredibly popular with tourists. Many years have passed, she has changed, but the eternal remains of her precious masterpieces that survived their creators and well-preserved. The amazing mosaics of Ravenna, from which it is difficult to tear one's views are of interest to all tourists who appreciate beautiful.